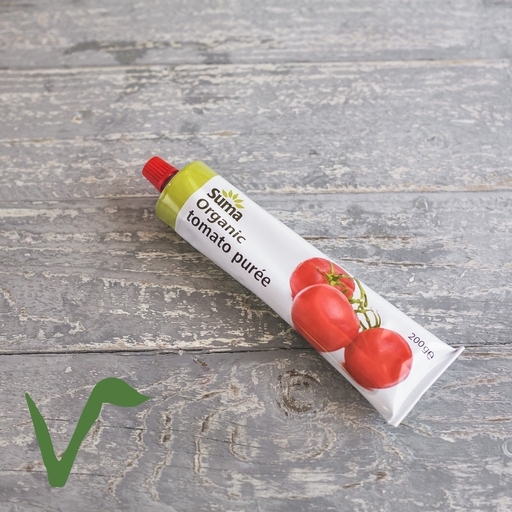 The only ingredient is ripe organic tomatoes, cooked down to a thick, intensely flavoursome paste. You can taste the Italian sunshine in every squeeze. Tomato purée is great for bringing extra richness and depth to all sorts of dishes; just add a little towards the beginning of cooking. Try it in our recipes for veggie chilli with avocado, soured cream and spelt tortillas, or a hearty minestrone.